The Balance and Beauty Collective is a passionate coming together of classroom instructors, product educators, certified specialists, multi-licensed professionals, and educated practitioners who are able to work by appointment and utilize their individual strengths while maintaining the proper balance to further their own goals. We strive to share our skills, knowledge, and positive attitudes with those that we serve in a professional, respectful, and enjoyable manner in order to create a true difference in how people feel about themselves. Make an appointment with one of our excellent team members now. At The Balance and Beauty Collective, our focus is on each professional working with us and the clients they serve, as opposed to a store-front space to capture walk-ins and sales. Because of this, we all work by appointment only, and each set our own hours in cooperation with the other collective members we share space with. We do not utilize a receptionist or management staff, and each have separate lines, so we encourage clients to call or email us, with the assurance that we will return all communications at our earliest availability giving the clients in our chairs/on our tables our full attention first. The owner’s line/main line and email can always be a great first stop for questions to be answered, and technicians recommended based on schedule and strengths. We strongly believe that we are not in competition with each other, but are a collective team with a strong desire to meet the needs of those in Genesee County and further, for everything from adding a little artistic flair to their hair or nails, preparing for a wedding, finding help with serious skin issues, learning to get the healthiest hair, or seeking relief from pain and stress in their lives. We are choosing to eliminate strong fumes from the workplace for the health of our clients and ourselves, and therefore will not offer permanent waving or acrylic nails, but have many alternatives to meet everyone’s needs. We also opt to work with more natural products whenever possible, so please talk to us about any product/allergy concerns you might have. Our setting is relaxed and low key, so it’s the perfect place to let go and have the confidence that you are in good hands. We do have to require that our guests be at least 10 years of age, and we are unable to accommodate additional children accompanying parents into the salon. (We are very limited on seating space, and our treatment rooms are directly connected to our salon floor, so space and noise levels are kept at a minimum.) While we understand that this will not make us ideal for all possible clients, we feel that this will make us the perfect fit for many clients and create the atmosphere they are looking to escape into. We take consultations very seriously, and want to take care of your problems with our combination of strengths, education, experience, and passion. If we feel we can’t provide a solution for you, we will find someone who we think can. We would love to start with a phone consultation, and see what we can do to make you feel better either in balance, or in beauty. 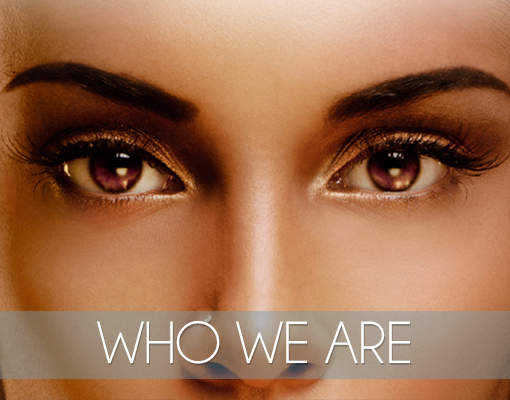 Discover who we are and what we can do for you today. The owner, Kristen Mason, is licensed in all practiced services in house, as well as being an instructor in each. She found it a challenge to practice as well as teach with a schedule that changes by semester, and the typical salon needing a single station rental and a solid schedule commitment, or not being the right fit for her approach in at least one area of her profession. Kristen is well networked in the local industry, and quickly found a team of individuals who had the same wants, needs, vision, and stellar service skills as well as the drive to self manage. After a lot of discussion, research, and hard work, The Balance and Beauty Collective was born in late 2014. Check out our members and make an appointment today.